We know most fad diets don’t work and sustaining a diet for the long term is where the rubber meets the road for many people. After the initial burst of enthusiasm and good intentions have worn off, a new diet gets harder and harder to maintain. What can we rely on to stay on track in those moments in the grocery store, at work, at friends’ houses, and even at home? Success comes when our behaviors change from intentional to automatic—in other words, when we stop thinking about what we’re doing and can act on impulse1,2. Here are five tips to strengthen your habit-formation around healthy eating and make your transition sustainable and permanent. Making decisions is where diet changes often break down in practice, and the average person makes about 200 food-related decisions daily.3 All those decisions can lead to decision fatigue, which erodes your willpower.4 Try to set up your life so that your food-related decisions are minimized and the healthiest choice is also the easiest. How to do this? Stock your house and kitchen with healthy food and be as consistent with your intentions as much as you can, such as by bringing food with you during errands and trips so you don’t need to forage in a gas station and keeping food (that you like!) in your desk at work so you don’t have to resort to the vending machine or unhealthy snacks laying around the office. The challenge to fully getting out of the Pleasure Trap is that addictive foods can feel good in the immediate moment. That’s why people who create implementation intentions tend to be more successful at creating new habits than those who don’t.5 This means making a plan with yourself before you get to the decision-making point. Going out to eat with friends on Friday? Look at the restaurant’s menu online and figure out what you’re going to order in advance. When you get there, enjoy the company and don’t spend your energy and time figuring out how to navigate the menu. 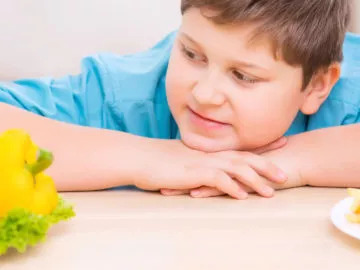 Breaking habits is hard when you’re accustomed to behaving in a certain way in a certain context, but even making changes to your environment that don’t seem food-related can help you in interrupting your typical patterns5. When you’re starting a new behavior, try shopping in a new grocery store or rearranging your furniture. These physical changes can help you shift your feeling about what is normal, which can help make other changes seem normal too. Practicing self-control, and the capacity for it, are both correlated with stored glucose levels in the brain.6,7 That means making decisions can make you tired, and it also takes energy and can contribute to getting hungrier.8 Even cravings can be intensified, as researchers have long noted in the context of studying withdrawal.9 The moral of the story? Plan ahead and bring snacks so you can avoid feeling “hangry,” the moment when you’re most likely to veer off course. The good news about diet and habits is that most behaviors repeated on a regular basis turn into habits. While intentions matter at the beginning of a new behavior, they matter less and less as habits become stronger.1 Plus, simply repeating a behavior will strengthen the automaticity with which you do it—so at the beginning of any dietary change, know that the first few weeks will take some work, but if you can support yourself in as many ways as possible so you repeat the behavior as frequently as possible, you’ll be paid back as it becomes habit that much more quickly. Besides doing the four things listed above, “supporting yourself” could also mean connecting with other plant-based eaters, journaling about your experiences, or using a reminder or scheduling app on your phone. Just do what works for you, and what will help keep you on track. The longer you eat plant-based, the more automatic and easier it will be, so you’ll need to rely less and less on these strategies to stay on track. Once you’re in a routine of plant-based eating, you won’t have to stop to think about it, and you can just enjoy being a healthier, happier, more effective person in the world! van't Riet J, Sijtsema SJ, Dagevos H, De Bruijn GJ. The importance of habits in eating behaviour. An overview and recommendations for future research. Appetite. 2011;57(3):585-596. Rothman AJ, Sheeran P, Wood W. Reflective and automatic processes in the initiation and maintenance of dietary change. Ann Behav Med. 2009;38 Suppl 1:S4-17. Wansink B, Sobal. Mindless Eating: The 200 Daily Food Decisions We Overlook. Environment and Behavior. 2007(39):106-123. Baumeister RF, Bratslavsky E, Muraven M, Tice DM. Ego depletion: is the active self a limited resource? J Pers Soc Psychol. 1998;74(5):1252-1265. Food and Addiction. New York, NY: Oxford University Press; 2012. Gailliot MT, Baumeister RF. The physiology of willpower: linking blood glucose to self-control. Personality and social psychology review : an official journal of the Society for Personality and Social Psychology, Inc. 2007;11(4):303-327. Masicampo EJ, Baumeister RF. Toward a physiology of dual-process reasoning and judgment: lemonade, willpower, and expensive rule-based analysis. Psychol Sci. 2008;19(3):255-260. Gailliot MT, Baumeister RF, DeWall CN, et al. Self-control relies on glucose as a limited energy source: willpower is more than a metaphor. J Pers Soc Psychol. 2007;92(2):325-336. Lu L, Grimm JW, Hope BT, Shaham Y. Incubation of cocaine craving after withdrawal: a review of preclinical data. Neuropharmacology. 2004;47 Suppl 1:214-226.